Tomorrow, Tuesday, March 22, 2016 is this year’s World Water Day, the theme of which is water and jobs. 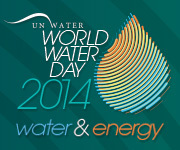 The inter-agency group UN-Water sets the theme every year, this year in coordination with the International Labour Organization (ILO) and other partners. World Water Day: What’s it about?